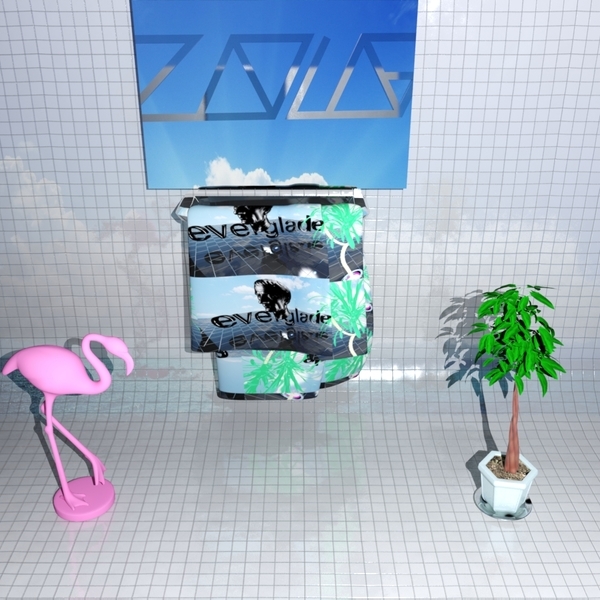 Everglade's 'Wild Profile' aches with a yearning, digital lushness that makes us want to become pixels and meld with the monitor, Videodrome style. It's their second release for the excellent Zoology label and presents us with a SimStim fantasy of cyber-rendered Balearic bump and chromatic harmonics that melt on the mind like a fine-tuned Dutch psychedelic. 'Area Login' marries beautifully evocative trance chords and shoulder rolling chug in a gyroscopic, 3D headspace, and 'Social' is like neat boogie jazz for a bar in the digital plazas of James Ferraro's Virtual Far Side. 'Sporting Life' wells up with heart-rushing slow trance arpeggios to breathless, heady effect, and 'After Groups' plays out like some kinda jazz lite for an anti-G chamber. Fans of OPN, Arca, Glass Eyes, James Ferraro, Adam Harper need to check this out.